CRPLSA has produced a visually compelling written summary of public programs and activities funded by the Arts and Cultural Heritage Fund. Celebrating Arts and Culture will provide a succinct report highlighting the wide variety of Legacy programming that has occurred in libraries throughout the state. The following information was shared via email with the library community by Sam Walseth, Capitol Hill Associates, in his role as the MLA-ITEM lobbyist. House and Senate GOP leadership announced committee structures and chairs today. They worked to align the committees as closely as they could between the two bodies. This morning Senate GOP leaders announced a committee structure and chairs for the upcoming 2017-18 biennium. The newly elected Senate will serve a four year term, so this structure is likely to be in place through 2020. The E-12 work has been divided up between a Finance and Policy committee. Sen. Carla Nelson (GOP Rochester) will chair E-12 Finance and Sen. Eric Pratt (GOP Prior Lake) will chair E-12 Policy. Merging and slitting the E-12 Finance and Policy committee work has gone back and forth under both DFL and GOP leadership in the Senate. The Capital Investment Committee will be chaired by Sen. Dave Senjem (GOP Rochester). Senate Taxes will be chaired by Sen. Roger Chamberlain (GOP Lino Lakes). Legacy Funding goes to Sen. Carrie Ruud (GOP Breezy Point) whose committee is titled “Environment and Natural Resources Policy and Legacy Finance”. The House committee structure remains largely the same, but due to a few retirements there is some reshuffling. Education will stay the same with Rep. Sondra Erickson (GOP Princeton) at Policy and Rep. Jennifer Loon (GOP Eden Prairie) at Finance. The more notable House changes are with Rep. Dean Urdahl (GOP Grove City) going to Capital Investment and Rep. Paul Torkelson (GOP Hanska) going to Transportation. Tax committee stays with Rep. Greg Davids (GOP Preston) and the Property Tax committee stays with Rep. Steve Drazkowski (GOP Mazeppa). Rep. Bob Gunther (GOP Fairmont) will chair the Legacy committee. With board action by the Kitchigami Regional Library System (KRLS) and MELSA trustees, the library community has unanimous support by 12 regions for a 2017 legislative initiative to change the Regional Library Basic System Support (RLBSS) formula. This new initiative will request a $3 million per year increase in the annual RLBSS appropriation, well as a change to the current formula. The formula change will reduce the Equalization factor from 25% to 15% and increase the Basic System Services factor from 5% to 15%. The formula changes reflect increased costs in basic operation and use of public library service and lessens the volatility of the formula associated with Adjust Net Tax Capacity (ANTC). In addition, the proposal requests that the formula be based on the population and tax capacity figures as reported by the Minnesota State Departments of Demography and Revenue respectively by January 1 of the year in which the grants are awarded. This will enable regional libraries to prepare budgets based on accurate calculations rather than estimates. Participate in The Minnesota Library Association (MLA) Institute for Leadership Excellence (MILE) 2017 — Leading for Life! Are you currently in a leadership position? Do you want to work towards entering a leadership position or role? Do you find yourself providing leadership even though your official position might not be in leadership? If you answered “yes” to any of these questions, MILE is for you! MILE is looking for applicants for the 2017 cohort and mentors. During the May 2-5, 2017 conference emerging library leaders from across the state learn about leadership. More information, and applications for participants and mentors can be found on the MILE website. Applications are due December 1, 2016. Don’t miss out on a great opportunity! On Thursday, November 17, the Traverse des Sioux Library Cooperative (TdSLC) Board of Directors formally endorsed the hiring of a new Executive Director. The new Executive Director will be Ms. Ann Hokanson, currently the Director of the Austin, Minnesota, Public Library. She has a B.A degree (History and International Relations) and a Master’s degree in Library Science, both from the University of Wisconsin-Madison. Ms. Hokanson brings with her a wide range of experience working with libraries. She has been the Director in Austin for the past thirteen years. Prior to that, she was the Director of the Prescott, Wisconsin, Public Library. She also has experience working as an archivist for the Wisconsin Historical Society and served with the Peace Corps. During her years in the Peace Corps, she worked as a volunteer and trainer for the Trnava District Library, Trnava, Slovakia. The hiring of Ms. Hokanson completes a long and difficult process for the Board, which is extremely pleased that she has accepted its offer. She will start work in the Mankato office on the first of January. The Board is comprised of one appointee from each of the area’s nine counties, plus a representative from public, school, and academic library staff. 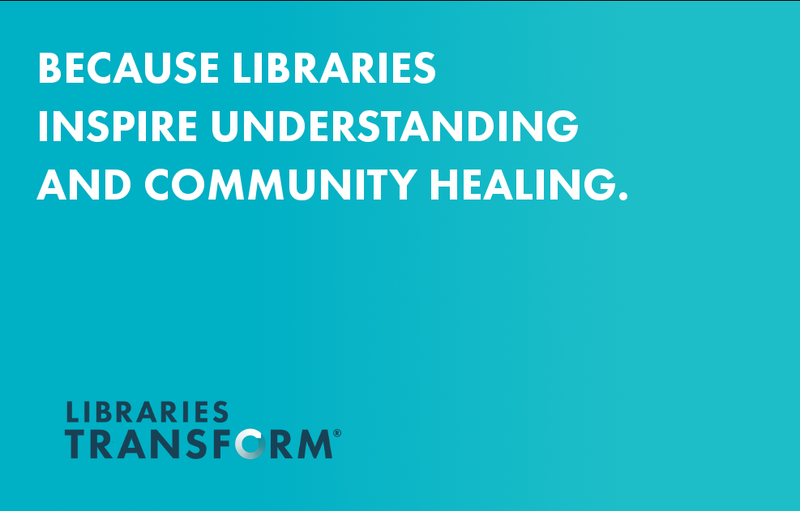 The ALA Office for Diversity, Literacy, and Outreach Services has created Libraries Respond as a space for us to help keep current events in conversation with libraries’ ongoing work in and commitment to equity, diversity, and inclusion. This page will be a resource for the library community to share information, find resources, and connect as they serve their communities. Join the Conversation! Due to anticipated heavy snow and possible blizzard-like conditions, the GRRL staff will postpone the Summer Reading Resource Fair. The Fair was planned for this Friday, November 18. The RESCHEDULED Summer Reading Program Resource Fair will be held on Friday, December 9 at the St. Cloud Public Library. Contact your regional library office for more information about this statewide event. Sometimes you need a break from the average conference. You need an UNCONFERENCE! Registration is now open for the 5th Annual Lake Superior Libraries Mid-Winter Unsymposium at UW-Superior’s Jim Dan Hill Library! Join us on January 6, 2017 for an afternoon of networking, discussion, and collaborative problem-solving! At the LSLS Unsymposium, you determine the conversation. Participants brainstorm a host of topics, which are then selected in a bottom-up, democratic manner. Rather than listening to a single speaker, you get to ask questions, interact, and offer your own expertise on a topic chosen by the whole group. So…everyone wants to talk about succession planning? Done. You’re the only one who wants to talk about bathroom lighting? Too bad! Together, we’ll discover our common challenges and develop solutions together. You’ll come away from the Unsymposium invigorated by lively discussions and ready to take that excitement back to your library. Thank you for the opportunity to lead this organization in providing library service to the region for the past 9 years. I appreciate the support and positive commitment of the Board as well as our partner counties. I believe that ECRL is in a good position to continue positive growth with a competent leadership team and staff. I have enjoyed the relationship with staff and board team and found this a fulfilling career. CRPLSA will once again participate at the Association of Minnesota Counties annual conference, December 5-6, 2016. System Directors will staff a booth in the exhibit area and share information about libraries serving Minnesota’s 87 counties. Winter Bees Wins an Emmy! Congratulations on the Emmy win for Winter Bees: And Other Poems of the Cold about the making of a Minnesota Book Award-winning children’s book. This Beyond the Book television special was a production by TPT in partnership with The Friends of the St. Paul Public Library and CRPLSA. Posted in Legacy	| Tagged ACHF, Beyond the Book, Minnesota Book Award, MNBA, tpt	| Comments Off on Winter Bees Wins an Emmy! The SELCO Board of Directors unanimously supports the resolution to seek a formula change and an increase in the annual appropriation of Regional Library Basic System Support (RLBSS). 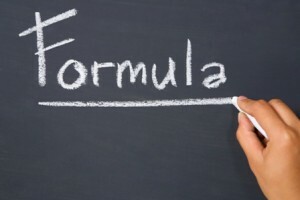 The proposed formula change will reduce the Equalization factor of the formula from 25% to 15% and increase the Basic System Services factor from 5% to 15%. This will will minimize volatility and stabilize the flow of state financial support. SELCO’s approval of the proposed legislative initiative, brings the tally of regional votes to nine of 12, with a goal of unanimous endorsement for future support by the Minnesota Library Association. The headquarters of the Great River Regional Library (GRRL) – the St. Cloud Public Library will offer limited services beginning Monday, October 24 as cleaning and restoration work in the St. Cloud Public Library continues. 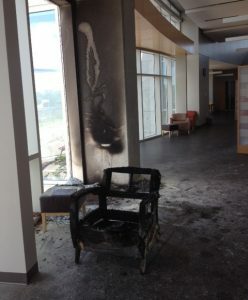 The closing and cleanup work was a result of an arson incident which took place on August 17. The fire caused structural damage and spread smoke and soot particles throughout the building. 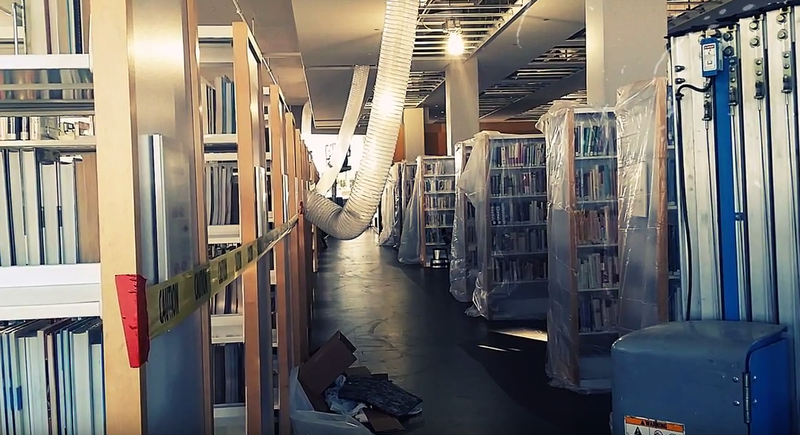 Library staff, city officials and seven different cleaning and restoration contractors have worked diligently to make sure the St. Cloud Public Library is back to pre-fire condition and a safe environment for patrons and staff. The damages totaled nearly $1 million dollars. Most of the cleaning has been completed. Final structural repairs will begin this week on a window, window frame, and granite cladding on a structural pillar. “It has been a huge undertaking! The library building is 115,000 square feet with more than 250,000 items. We know it’s taking a long time but we want to make certain we are being thorough and complete to ensure the building is safe for our entire community.” said Karen Pundsack, GRRL Executive Director. Services available next week will be holds pick-up, fine payment and pick up of Summer Reading Program prizes during regular hours. Existing meeting room reservations will be honored. However, no new reservations will be taken at this time. Access to the collection and computers will be available at a later date. For more information about library programs, contact the St. Cloud Public Library at 320-650-2500. Posted in Regional News	| Tagged LARL, legislative, mnlibleg17, NWRL, PLS, resolution, rlbss, TdS	| Comments Off on Formula change support grows! The regional library boards governing Great River Regional Library (GRRL) and Plum Creek Library System (PCLS) approved supporting resolutions to seek a statutory formula change tied with an increase in the annual Regional Library Basic System Support appropriation. 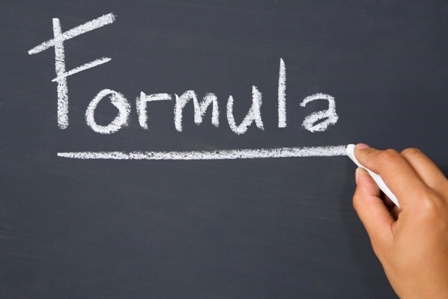 The formula change will reduce the Equalization factor of the formula from 25% to 15% and increase the Basic System Services factor from 5% to 15%. This will will minimize volatility and stabilize the flow of state financial support. With the GRRL endorsement on October 18 and PCLS action on October 19, the tally of regional resolutions increases to four following action by ECRL and ALS. Additional regional meetings are scheduled within the next few weeks. GRRL Board Members have committed to working actively at the Capitol during the upcoming 2017 legislative session and the county commissioners on the PCLS Board will be working through the Association of Minnesota Counties for complimentary support. The Arrowhead Library System (ALS) Board unanimously approved a legislative initiative to amend Regional Library Basic System Support (RLBSS) formula on October 13. The initiative seeks an annual funding increase of $3 million, a change to the statutory funding formula that will shift funds from the equalization factor to the base, and modifies the year from which state data will be used. Email or call your Senators Franken and Klobuchar and ask our Minnesota Senators to co-sponsor S. 3391, the Museum and Library Services Act. Every year, nearly $200 million in federal library funding is awarded to every state by the Institute of Museum and Library Services (IMLS). In Minnesota, a large portion of approximately $2.8 million underwrites critical library services covering operational costs at the Braille and Talking Book Library. In addition, these federal funds are used for our state’s competitive LSTA grants. IMLS can do the work of distributing funds because Congress passed and periodically” reauthorizes” the Museum and Library Services Act. It’s time for Congress to renew this important landmark legislation and library champions in the Senate have just introduced a bill, S. 3391. With just a few weeks remaining after the November elections to get it passed, however, those Senators need to help from their colleagues. The American Library Association wants every Senator to hear from his or her constituents asking them to “co-sponsor” S. 3391. S. 3391 will enhance IMLS’ collaborative efforts by expanding the number of federal agencies able to fully leverage the role of libraries and museums in supporting and meeting the needs of Americans. The East Central Regional Library (ECRL) unanimously endorsed a legislative initiative that will seek a formula change and a funding increase in Regional Library Basic System Support (RLBSS). The proposal requests a $3 million per year increase in the annual RLBSS appropriation, well as a change to the current formula. The formula change will reduce the Equalization factor from 25% to 15% and increase the Basic System Services factor from 5% to 15%. The formula changes reflect increased costs of basic operation and use of public library service and lessens the volatility of the formula associated with Adjust Net Tax Capacity (ANTC). In addition, the proposal requests that the formula be based on the population and tax capacity figures as reported by the Minnesota State Departments of Demography and Revenue respectively by January 1 of the year in which the grants are awarded. This will enable regional libraries to prepare budgets based on accurate calculations rather than estimates. CRPLSA members present at an October 4, 2016 meeting voted unanimously in favor of the recommendation. ECRL is the first regional library governing board to authorize this 2017 legislative initiative. In addition, the ECRL Board will seek advocacy support from the Association of Minnesota Counties. Attend a mini-lesson on a range of topics. Each year, a broad theme is selected that will help students direct their research to show a connection between the theme and their topics. The 2017 theme, Taking a Stand in History, will allow students to research topics on all levels from local history to ancient history. Join fellow librarians from across southern Minnesota to learn more about ELM – the Electronic Library for Minnesota. This day-long training event will provide the chance to explore in-depth all that ELM has to offer. Minitex librarians will provide training on the specialized databases and participants will discover which database is best for what. Learn with the experts about how to best search, save, and share the results as well as how to teach accessing the database resources to users back home. Various database vendors will also be on hand to talk about new resources, interfaces, and features. All levels of experience welcome! Sponsored by Traverse des Sioux Library Cooperative, SAMMIE, SELCO/SELS, Minitex, and Minnesota State University-Mankato. All new this week — the MNLINK discovery interface. This easy to navigate new search tool provides library users access to library collections around the state, as well as the Electronic Library for Minnesota, Ebooks Minnesota, Minnesota Reflections and much more. In celebration of this new service, Minitex created a fun and informative video introducing MNLINK to library users. Libraries may add a link or embed the video on local websites so patrons can learn more about the new MNLINK. Enjoy! Get to know the constellations like The Big Bear, Cygnus the Swan, Pegasus the Winged Horse, Aquila the Eagle and many more at a Minnesota Starwatch Party with meteorologist Mike Lynch sponsored by East Central Regional Library (ECRL). The program will start with an indoor orientation followed by quality time outside under the heavens. 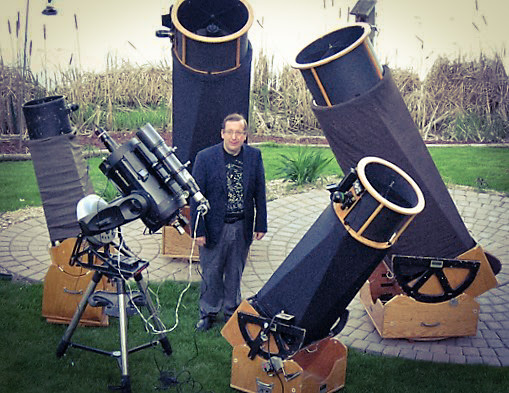 Mike will bring a fleet of telescopes, including two of the biggest mobile telescopes in Minnesota for close up views of planets, star clusters, nebulae, and other wonders in late summer and early autumn skies. He’ll also bring a video-telescope system for ultra-deep view of galaxies and more! This program lasts about two hours and is recommended for ages 6 and up. The Traverse des Sioux Library Cooperative (TdSLC) is looking for an Executive Director. This dynamic and challenging position will manage a cooperative that serves libraries in a nine county area around Mankato, Minnesota. Mankato is a vibrant, fast-growing city, home to Minnesota State University, Mankato and a thriving business community. The Executive Director reports to a fourteen member Board of Directors. Members include twenty public libraries (representing nearly forty branches), school media centers and academic libraries. Services provided to member libraries include a Sierra (III) online catalog and circulation system, cataloging, delivery, inter-library loan, continuing education, programming and much more through a staff of twelve. Minimum requirements include a Master’s in Library Science from a program accredited by ALA and at least two years of public library administrative experience. For further information check out www.tdslib.org or call 507-386-3022. Letters of application, resumes and references to: chaugen@tds.lib.mn.us Salary from $88,000 per year and up, depending on experience, and generous benefits. Applications received by October 15 will receive top priority. The St. 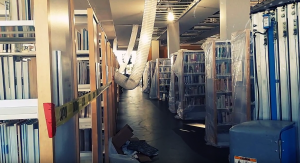 Cloud Public Library experienced a fire set by an arsonist on the second floor of the building on August 17th. Currently, regional operations continue including daily delivery to the other 31 Great River Regional Library (GRRL) libraries and interlibrary loan. Open hours are extended temporarily at the Waite Park and Clearwater locations until the St. Cloud Public Library can be reopened. Due to structural damage and the scope of the clean-up and restoration required, GRRL has coordinated with the City of St. Cloud for bids. GRRL staff anticipate clean-up will begin in late September with reopening planned for early October. WJON covered the news story. Northfield Public Library was recognized as WCCO’s Viewers’ Choice for Best Library in Minnesota. The story highlights the history of the building and shows the beautiful new space which opened in May. Click here to see the interview by WCCO reporter, Natalie Nyhus, with Library Director, Teresa Jensen. Good response to ARSL in ND! At the close of Early Bird registration, 448 people are registered for this year’s ARSL conference and 129 are from Minnesota! There are 42 states represented, Washington, D.C., and Saskatchewan, Canada. There are many new and returning vendors. All signs promise a successful conference. Things are really starting to heat up as it gets closer to the conference. The Holiday Inn is full, The Holiday Inn Express behind the hotel is full and the Holiday Inn Express on 45th has maybe 2 or 3 rooms for Wednesday and Thursday only. Conference planners are working to find another backup hotel! Even though Early Bird registration ended on Friday, September 2, interested individuals can continue to register. See you in Fargo! Posted in Regional News	| Tagged ARSL, ARSL2016, ce	| Comments Off on Good response to ARSL in ND! The results of the most recent Library Services and Technology Act (LSTA) competitive grant round have been released and three public libraries are among the recipients. These include MELSA member: Hennepin County Library and SELCO members: Albert Lea Public Library and Austin Public Library. Five percent of Minnesota children have had a parent in jail or prison at some point in their childhood. Hennepin County Library (HCL) will create programs and resources to strengthen families affected by incarceration. 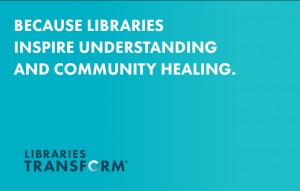 Additionally, HCL will educate librarians and other social service professionals about the unique needs of families impacted by incarceration. Five successful school districts will receive the balance of the $544,843 awarded in the 2016 LSTA competitive grant round. Click here for a list of all eight grant recipients and the project abstracts. As you know, the annual Minnesota Library Association conference is nearly upon us. We hope to see you and your staff in Duluth at the end of September. Did you know that MLA is not just for practitioners? Minnesota Association of Library Friends (MALF) is proud to be a Premier Sponsor of the annual conference. On Thursday, September 29, we are pleased to offer a full day of programming devoted specifically to Friends of the Library. Highlights include an energizing Idea Sharing session, Friends advocacy panel, and MALF’s own annual meeting. Cost to register is just $65.00 for Friends (Thursday only) before August 29, and $85.00 after that date. Click here for a full rundown. We encourage you to share word with Friends in your region, through whatever channels seem best to you. Attached, for easy reference, is a flyer promoting “Library Friends Day” offerings. August is here and it is time to register for the Association for Rural and Small Libraries (ARSL) annual conference October 27-29th in Fargo, ND. Early bird registration and fees are due no later than September 2nd Visit arsl.info to get started. Why should you come to ARSL2016? ♦ Well first and foremost, it is a national conference organized by small and rural librarians for professionals who work in small and rural libraries. A list of break-out sessions can be found here . ♦ Secondly, this conference is incredibly affordable. Full conference rates begin at $243.85, which includes 3 breakfast meals, 2 lunches, the welcome reception, and all author events. This year the keynote speakers line-up can be found here and includes best selling author William Kent Kruger and Betty Gronneberg, founder of uCodeGirl. Also, the conference hotel (Holiday Inn Fargo) is offering a low conference rate of $99/night! ♦ Finally, this conference is the best opportunity to meet and visit with other library professionals who truly understand what it is like to work with limited staff and an even more limited budget. By participating in after hour opportunities like dine-arounds and game night, you will be able to grow your professional network from outside of your immediate area to a national network of friends and colleagues. Many who come to this conference stay connected during the year and search each other out at future conferences. We hope you are able to join us and look forward to seeing you at ARSL2016 in Fargo, ND this October 27-29th (unless you come in early for a pre-conference or tour on the 26th! 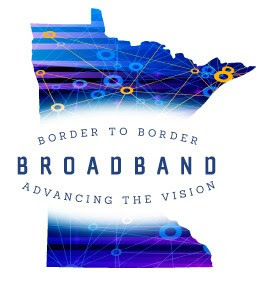 The vision created at last year’s Border to Border Broadband conference has been endorsed by nearly 100 organizations and units of government around the state. This work is the inspiration for this year’s conference theme, Advancing the Vision. Plan to gather on September 13-14, at the iconic Greysolon Ballroom in Duluth to connect with others, and to hear first-hand about the great work being done across the state to advance the vision. The conference will kick-off with a reception, dinner and program on Tuesday, September 13. On Wednesday, individuals involved in a number of the state-funded broadband infrastructure projects will give updates. Paul Bunyan Communication’s CEO Gary Johnson will close the conference with his reflections on what gigabyte means for communities, including rural communities. Border to Border Broadband: Advancing the Vision is sponsored by Blandin Foundation with support from DEED’s Office of Broadband Development. It is an opportunity to connect and reconnect with others working for a future in which everyone in Minnesota will be able to use convenient, affordable world-class broadband networks that enable us to survive and thrive in our communities and across the globe. 2017 marks the 10th year of the Library Technology Conference! Mark your calendar: March 15-16, 2017, Macalester College in St. Paul. #LTC2017 will provide an opportunity to discuss changing technologies as they affect library services; to share tech innovations and experiments with colleagues; and to gain skills and knowledge to adapt and apply in libraries of all kinds. The conference features challenging, thought-provoking keynote speakers; insightful presentations and panels; and practical, interactive hands-on workshops. Registration: Conference registration is expected to open in early December. Watch the conference website, Facebook, or Twitter feeds for additional info. Call for Proposals: The call for session proposals will open in mid-late August. Conference registration fills fast (in just a little over two hours in 2016!) and being a session presenter is a great way to guarantee yourself a spot! See you in March at #LTC2017! MALF is pleased to introduce a new initiative, Stand Up For Standout Friends. Each and every member organization is invited to put forward the name of one individual for this special annual honor, in thanks for standout efforts in furtherance of Friends of the Library work. Each MALF member organization may submit one name per year for the Standout Friends honor. Any Friend is eligible, provided he or she is part of a Friends of the Library group current in its MALF membership and is willing to have his or her name shared on award materials distributed across the state. In order to prevent duplicated efforts, MALF asks, but does not require, the nomination be submitted by the current president of each member Friends group. Fill out the Standout Friend Nomination Form and return to MALF by email. If necessary, you may also mail a paper copy to the MALF office (MALF, 1080 Montreal Ave., Ste. 2, St. Paul, MN, 55116). Applications must be received by Wednesday, August 31. MNLINK is getting a face-lift this fall! Sporting a new logo, the greatly improved user interface will feature responsive functionality, allowing users access on the go and from any device. While a bigger launch announcement will come at a later date when the interface goes live, some pre-launch items have been created for library staff. The MNLINK Marketing Committee has prepared information for distribution to patrons and staff which you can download, print, and cut as needed. The announcement to patrons conveys the message about the change to the user interface that is coming soon. The committee has also created a FAQs document to assist your staff in responding to user queries. We expect to update the FAQs as we hear more from you about the information users are seeking. Share the FAQs with staff so they’re prepared and share the quarter sheets with the public so they know what’s coming. The MNLINK Marketing Committee is currently working on new brochures and bookmarks that will be made available prior to the implementation of the new system. Training webinars will be provided to alert staff of the functionality that the new interface brings.